Family Volley: GIVEAWAY! Handmade with LOVE Hop! GIVEAWAY! Handmade with LOVE Hop! Dianne, contact me by Friday (Feb. 11th) at 5pm so I can get you your winnings. 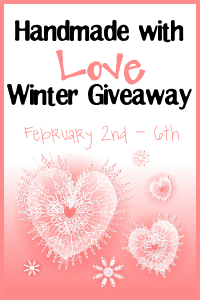 Welcome to the HANDMADE WITH LOVE GIVEAWAY HOP! Let's put the January blues behind us and celebrate the month of LOVE. Welcome to everyone, whether you are already a Family Volley follower, or here for the first time. Love all around. Want to learn a little more about Family Volley? We are helpful, funny, and fantastic. Whether it's parenting, relationships, motherhood, you name it, we chat about it. And, it's all in the name of love. Valentines Day is only two weeks away. Here are some gifts that will help with the special day. Whether you want to use your winnings for that special someone, or for yourself. 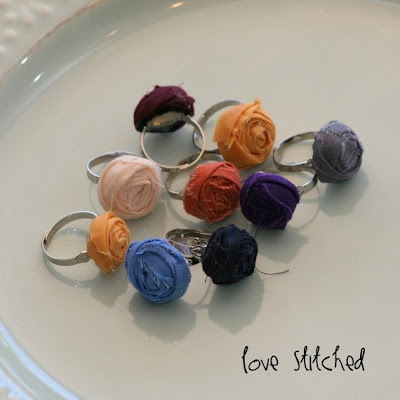 Love Stitched is one of my favorite Etsy shops. Brittany is talented and inventive. Her products are handcrafted and she pays great attention to detail. Whenever I wear my Stella Rings or bib necklace I always have people asking me where I got them. Do you read the NieNie Dialogues? If you don't, you should. She is an amazing mother of 4 who is recovering from a horrible plane crash. She was burned over 80% of her body. She loves being a mom and doesn't hesitate to talk about it. She is inspiration. 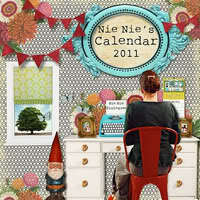 NieNie has put together a very personal and pretty calendar. The best handmade you could put on your wall. It will put a smile on your face all year long. Become a Public follower of Family Volley through Google and leave me a comment telling me you follow. You can click on the follow button on the right side bar. Leave a separate comment for each entry. Don't forget your email. If you already do any of the following, just tell me so. 1. "Like" Family Volley on Facebook. Say hello. You can also click on the Facebook icon, right side bar at the top. 2. Follow Family Volley on Twitter. You can click on the Twitter icon, right side bar at the top. 3. Post about this giveaway on your Facebook page. Leave me a link in your comment. (Worth 2 entries). Leave me two separate comments. 4. Tweet about this giveaway. Leave me a link in your comment. (Worth 2 entries.) Leave me two separate comments. I follow through google! marydear79(at)yahoo(dot)com. I follow through Twitter. marydear79(at)yahoo(dot)com. I like FV on facebook! "Like" Family Volley on Facebook. Follow Family Volley on Twitter. I like Family Volley on Facebook! I follow FV on Twitter! Sweet prizes! I'm following as sunnymum. I am a family volley follower! I like FV on facebook. I follow! Love Family Volley! I'm spot #103 on the hop, and I'd love if you'd stop by and enter to win one of my 3 prizes. I like you on FB It's being wonky and won't let me comment even though it says I am connected. I tried 6 times and still won't let me comment, sorry. Hope this counts anyways. I "Like" Family Volley on Facebook.